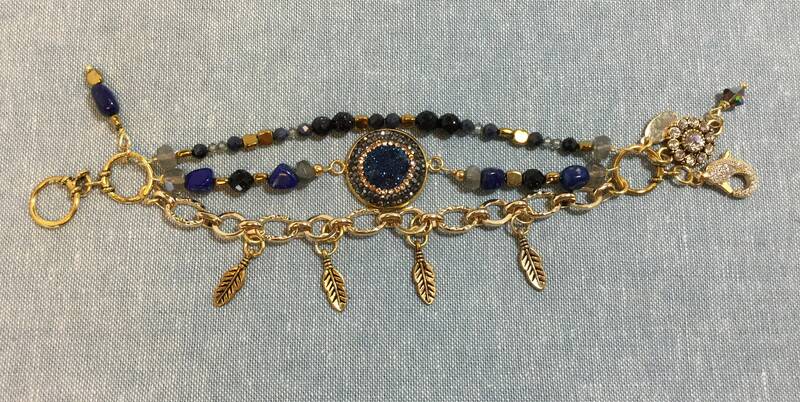 This triple strand charm bracelet combines a blue druzy centerpiece, lapis lazuli chunks. sparkly sandstone, andtiny squares of gold hematite. At each end, an anchor charm helps the bracelet stay in place on the wrist. 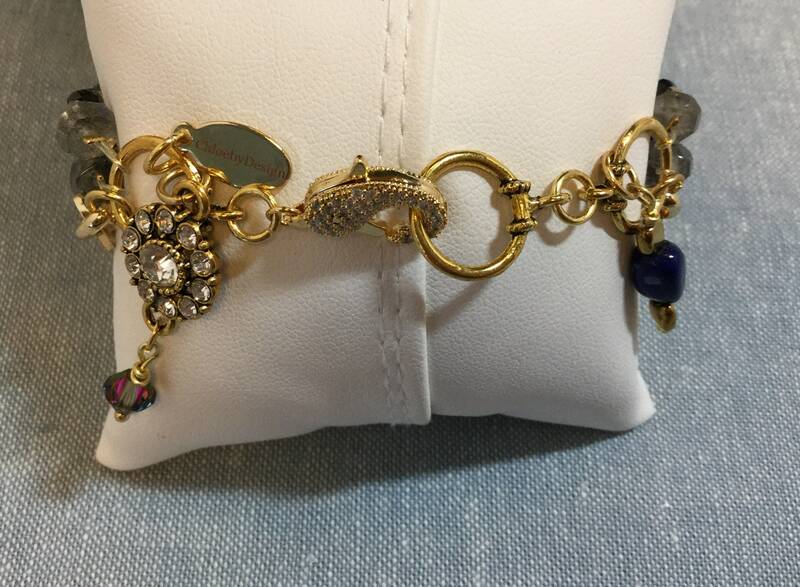 The chain is 14k gold plated and features four small gold-tone feather charms. The large, CZ encrusted lobster clasp closure is very easy to manage for simple on and off. 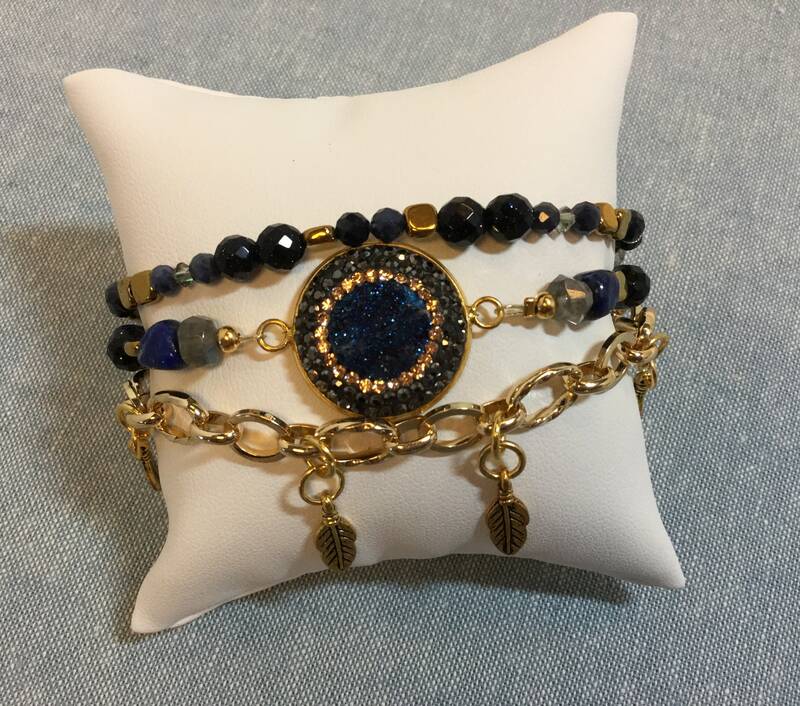 The bracelet measures 8 inches, which will fit a wrist that measures from 6 1/2 inches to 7 inches. It can be lengthened prior to shipping. Just send me a convo with your wrist size and I will let you know if I can adjust.